DVD ripping is a great option to watch movies anywhere on the go. It lets you archive and backup your existing discs to digital format. The converted files can be viewed on smartphones, tablets, Apple TV, Xbox, PSP etc. There are a number of software programs to rip DVD free. But you need the best free DVD ripper software to handle the process without losing the quality of videos. Handbrake is free and open-source software to rip DVD free in simple steps. It is easy to use and best in ripping general DVDs. When handbrake can not free rip protected DVDs, do you know how to solve these issues? Now in this post, we can offer you two effective methods to free rip protected DVDs. Handbrake and WinX DVD Ripper are most popular among them. Now we can compare both of them to find the best free DVD ripper in 2019. On the other hand, WinX DVD Ripper is an advanced solution to digitize any kind of discs including old and damaged DVDs. Handbrake is a multi-platform video transcoder to convert video from almost any format. It is available on Windows, Mac, and Linux. But unfortunately, Handbrake cannot rip encrypted or copyright protected DVDs as its own. It is commonly using for ripping unprotected discs. Follow these steps to free rip DVD into digital copies. 1. Visit the official page of Handbrake and download the latest version of the program. 2. 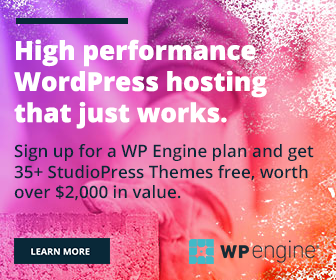 Install and open the program on your computer. To free rip protected DVD, you need to install Handbrake Libdvdcss. Insert the disc that you want to rip with Handbrake. Once it loaded, Handbrake will detect the CD automatically and display the information under Open Source > Source. 3. If your DVD contains multiple titles, choose a title for conversion. Handbrake can handle only one title at a moment. So you have to choose all titles one by one or add them to a queue to rip. 4. Configure other options: choose a Handbrake best settings for your output. Handbrake lets you convert DVD to MP4 or MKV. Choose your target format and leave other settings as default if you are not sure about what you are doing. 5. Click Browse button on the bottom right corner of the window to select a destination to save your output. 6. Click Start Encode button on the top to begin the ripping process. It will take a few minutes to finish the work depends on the size of your files. WinX DVD Ripper is a powerful free DVD ripper to backup, archive, or share your favorite videos with others. It is easy to use and gives you full control over the conversion of DVD to MP4 and various other formats. You can convert any DVD to MP4, AVI, WMV, FLV, MOV, MPEG, MP3 and more with WinX DVD Ripper. Unlike Handbrake, it allows you to decrypt copy-protected discs without downloading any additional tools or codes. The free DVD Ripper updates consistently to support latest technologies of DVD protection and empowers you to copy any encrypted disc easily. The software is compatible with Windows 10 and Mac operating systems. Follow these steps to rip DVD free using WinX DVD Ripper. 1. Download the software from the WinXDVD homepage, install it on your computer. 2. Insert your DVD into the disc drive. Open WinX DVD Ripper and click DVD Disc button on the top-left side of your screen. A small dialog box will appear along with the inserted disc title. Click ok.
3. A new window will open with all titles in your disc. WinX DVD Ripper will detect and select your main title automatically. Choose a profile for your output. You will see over 350 profiles in different categories to choose from. The profile configurations will vary based on your output device and video types. Once you selected the profile, click OK to proceed. 4. Choose a location to save your converted file and click the Run button to begin the process. When finished, your destination folder will be opened automatically with the saved contents. Digiarty software currently provides free giveaway license of WinX DVD Ripper platinum edition for a limited time. 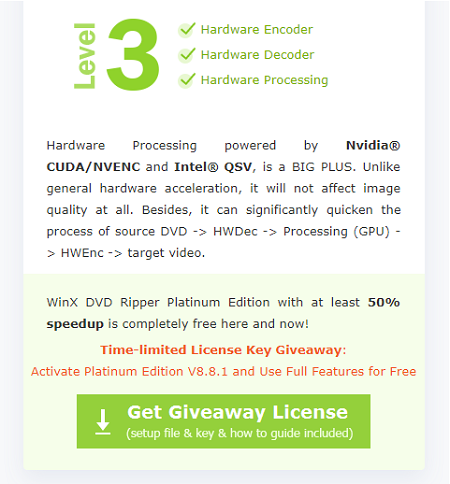 Download WinX DVD Ripper and the upgraded software which comes with advanced hardware processor powered by Nvidia CUDA/NVENC and Intel QSV to speed up the conversion for at least 50%. WinX DVD Ripper can rip any DVDs with CSS, Region code, ArccOS, APS, RCE, and other latest methods companies adapt to protect their discs. 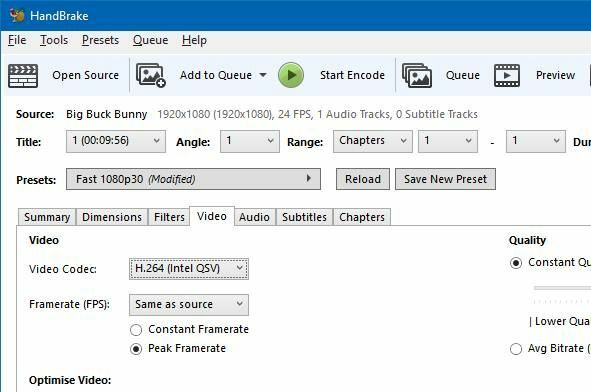 It also contains more than 200 video audio codecs to support DVD to digital conversions and more than 350 profiles to support DVD to mobile-specific conversions. 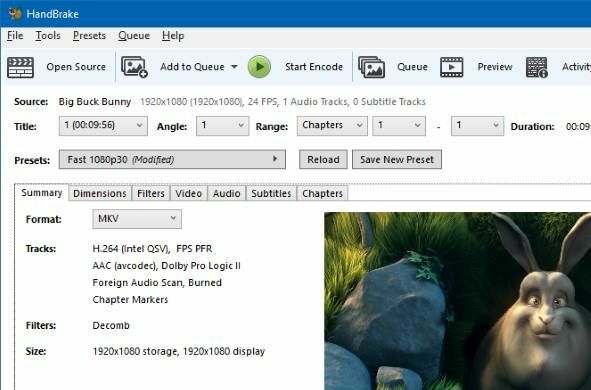 If you are trying to find the best free DVD ripper of 2019 to rip DVD free without paying anything and compromising on the quality, then we recommend you to use WinX DVD Ripper. Which is your favorite free DVD ripper? Feel free to share your thoughts through comments.